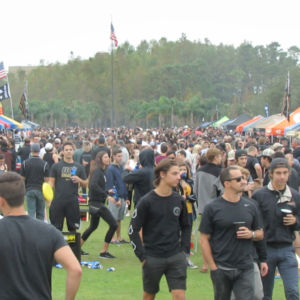 Tailgating is a serious adventure at UCF, and it sprawls impressively outside Spectrum Stadium with ongoing rows of tents, music, and food. 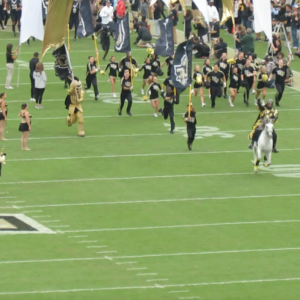 It truly is an awesome scene to see such pregame fervor for UCF. 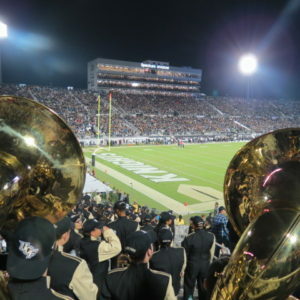 Pregame is energized as The Marching Knights fill the stadium surroundings with spirit. 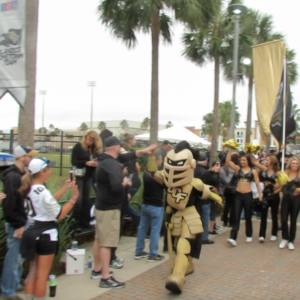 They add the beat to the pregame team walk while Knightro, the UCF mascot, spreads spirit. 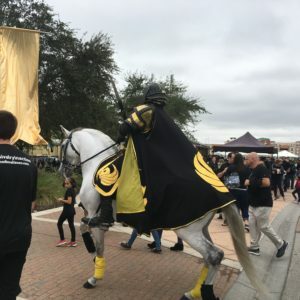 Pegasus, a white horse ridden by the UCF Knight, takes part in the action as well, but makes his grand entrance as he charges onto the football field leading the team out of the tunnel. 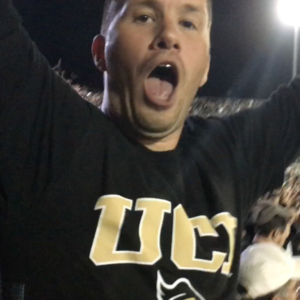 An electric stadium fills with black and gold and an incredibly intense spirit. 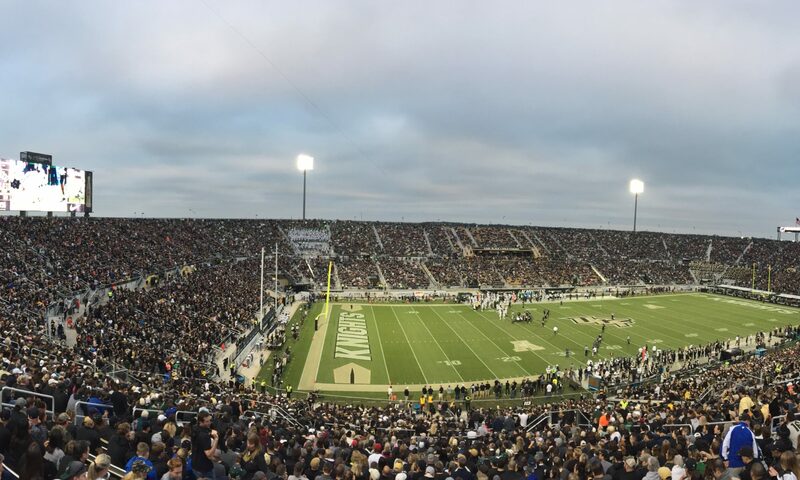 Spectrum Stadium is nicknamed The Bounce House because as fans jump in unison, the bleachers literally sway. 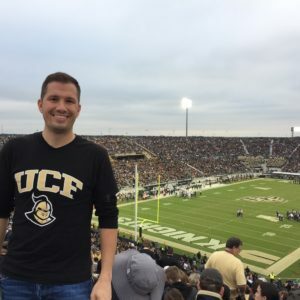 I had my doubts about this until I walked along the top bleacher near the edge of the stadium as the crowd wildly jumped in preparation for opening kickoff. 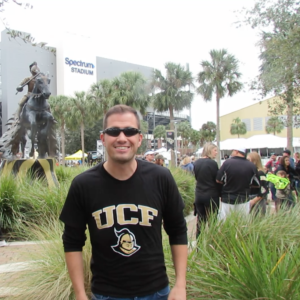 The slabs of metal beneath my feet began to wobble, and I was forced to grab the barrier wall atop the stadium to keep my balance. It’s intense. I’m sure that structural inspections are conducted often. 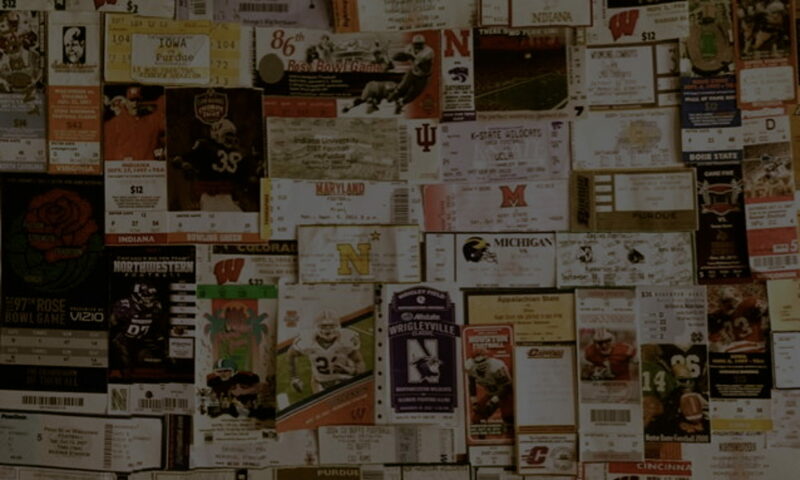 So often, the spotlight illuminates the traditional major conferences in college football. 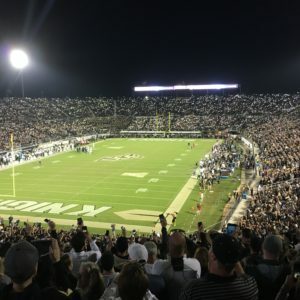 Venues like Spectrum Stadium can be overlooked. 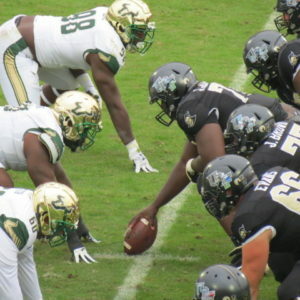 But, UCF proves that college football gamedays are driven by passion and spirit, and a school’s football program does not have to be steeped in history in order to possess that. 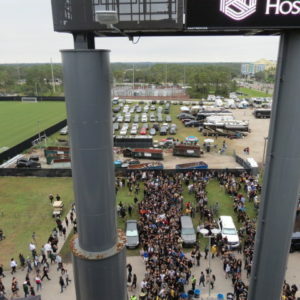 Fans herding into the stadium.